Watching that car show, "Top Gear." Made me think about all the squad cars I've driven over the years. Thought I better make a note of them now before I forget them (since most were pretty forgettable). 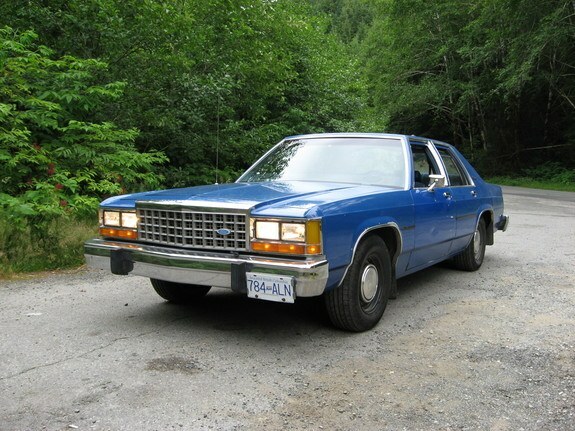 When I first hit the street on FTO most of the squads I drove were '82 (or thereabouts) Ford LTD Crown Victoria. Not a bad car. Not very fast, not very responsive, soft seats, pretty roomy, did the job okay. My biggest complaint that I can recall is that a few of my FTO's smoked (which bothered me terribly) and having the window cracked for the smoke caused cold air to be sucked in through the door handle freezing my leg. When I got off FTO I was sent straight to the midnight shift and assigned a '1984 Dodge Diplomat. I actually liked that better than those Crown Vics. The Dip had pretty good handling manners and a fair amount of power from it's 318 ci. engine. Seats were much better than the Crown Vic's too. All our squads had the speaker for the siren mounted up on the roof in the light bar so it was very noisy inside with that going. Next up they got about 6 1986 Chevrolet Celebrity. Front wheel drive, no ABS, v6 motor. Looking back it wasn't a good idea to throw out a handful of front wheel drive squads to the troops with no training. These cars had terrible torque steer. They also had very bad vinyl seats. I didn't mind the car too much because it was a handful to drive and kept me busy. We only had performance summer tires on them too so terrible in the snow even with FWD. I get a little fuzzy here but I'm thinking we got some Caprice's? I'm pretty sure I had about a 1989 one. I think this was about the best squad I had. Good handling, good power, good seats, roomy enough. I still remember one time where I had the tilt wheel up getting ready to get out. I had to turn the wheel quick and I jammed my hand on the A pillar mounted spotlight handle. Pretty sure I broke a finger on it. That really hurt. One of my Caprice's I had a interesting light bar on called the "Tomar Fast Flash." It had some very bright (for the time) strobe lights in it. Somewhere in there we got the 4th generation Caprice (1991-1996). These were often referred to as the "bubble" or "bathtub" squads because of their shape. I hated the seats, no lumbar support whatsoever. They were low in the car and the door windows were hard to see out since we sat so low. The only thing good about the car was ABS. This was the first squad we got with ABS. It was wonderful!! Saved me bunches of times. When they rolled it out there was really no training for us. I had done enough reading about it to know how it works and what it could do. There were some high profile accidents where cops blamed the ABS. Then they came out with some minor reading article telling us how to use ABS. I believe most of the problems were caused by cops not knowing how to use ABS. 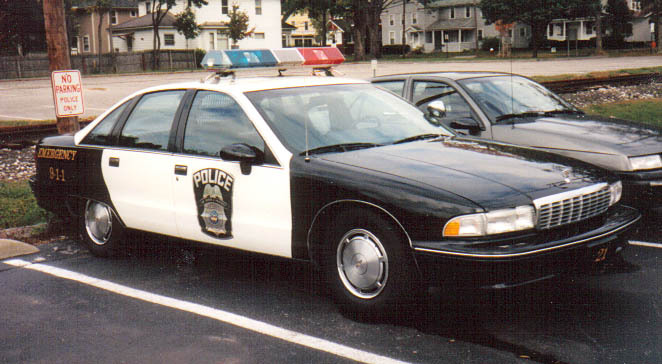 We also got a bunch of Crown Vics around 1991-1997. I liked these way more than the older LTD's. The biggest thing I can remember about these is how smooth the engines idled. It was way more comfortable than any other squad before. A lot of the time a cop spends in the squad is idling. These engines were smooth! They weren't any faster or better handling. But it sure was smooth. We had lots of these squads over the years. My last one was a 2011. I retired in 2014 with that one. Ford quit making the Crown Vic at the end of 2011. The department decided to switch over to the Ford "Police Utility Vehicle." 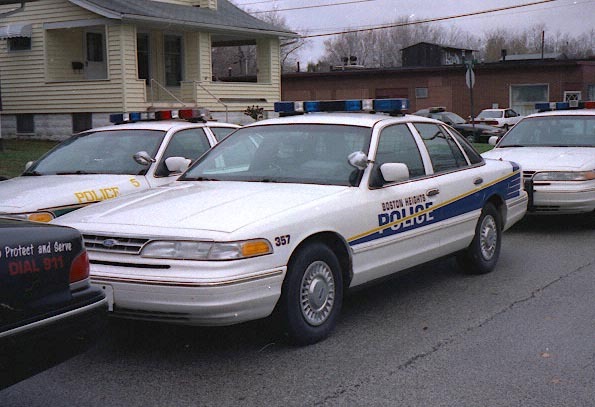 This was basically a Explorer modified for squad car use. I drove the Utility a few times and really didn't like the driving position. The seat is up high and you can't stretch your legs out in front. They are also very hard to see out the back windows due to structure and tinting. I was senior guy on the shift and the boss asked if I wanted a new Utility or keep my Crown Vic. I kept the Crown Vic. The Utility does have all wheel drive and active handling. But I still kept the Crown Vic. I think mine had a little over 100k miles on the clock when I left. Some notes. When I came on the squads didn't have power windows, cruise control, and am/fm radios. The department didn't want those items to save costs. Then as time went on the manufacturers ended up charging more to have those items deleted since everybody in the world wants those items. I can't remember what squad was the first with electric windows but that sure was nice. Lots of times people flag you down and want to tell you something. The roll up windows made it pretty hard to do that when they were on the right. The midnight shifts got awful long with no music radio. Most of the guys would bring a boombox and bungy cord it to the cage. Sometimes I did but that was a hassle. Can you imagine how morale would be if they took those items out of the new squads now? Hahaha. We didn't have smart phones and internet to occupy our time back then either. I remember when I got my first pager so my wife could beep me if she wanted me to give her a call. Boy was that ever nice. My first cell phone was a Motorola DynaTac from about 1993. Pretty sure it cost me about $600. But I'm straying from this subject. Thanks for reading. Have a great day.